Beluga Whale Skeleton. Delphinapterus leucas. Articulated Skeleton. Single species. Monodontidea. With mount, of an original San Diego Museum of Natural History specimen. The Beluga Whale or White Whale (Delphinapterus leucas) is an Arctic and sub-Arctic cetacean. 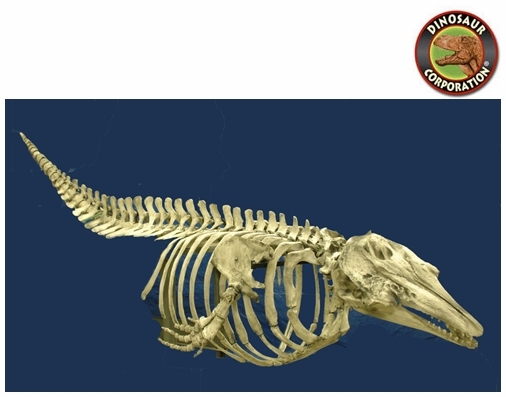 It is one of two members of the family Monodontidae, along with the narwhal, and the only member of the genus Delphinapterus.